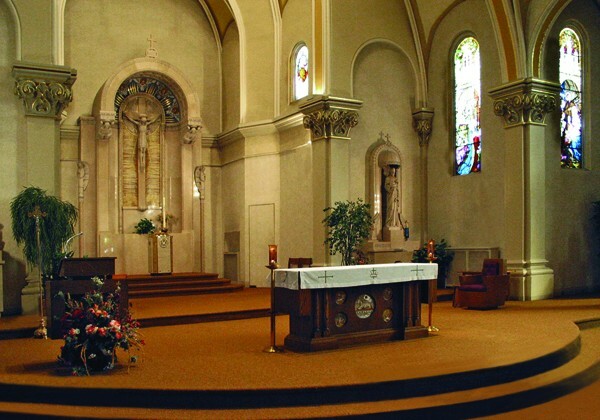 Through initial consultation meetings, CSS’ Project Director gave Rev. 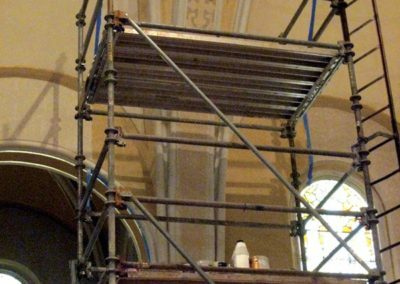 William Grevach, Laurie Bootz, Dave Frankhart and the Restoration Committee the necessary knowledge of how different decorative elements, materials and scope of work translated into costs. 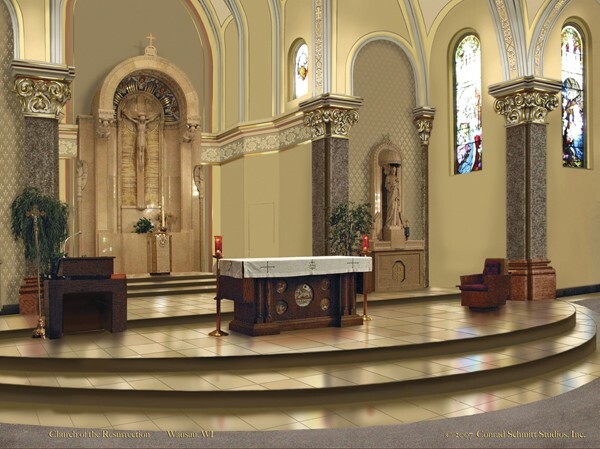 Color renderings were created to clearly illustrate the degree of decoration for the walls and ceilings, along with new flooring, layout modifications and lighting. 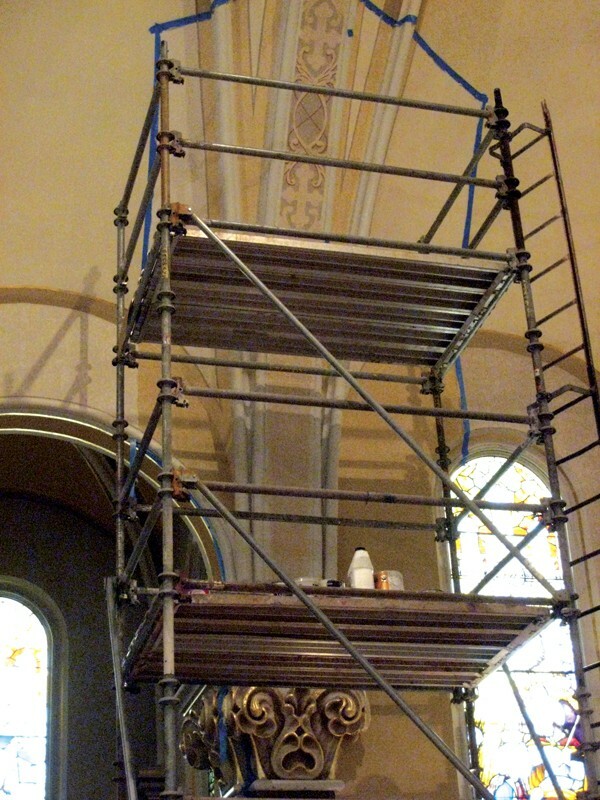 Onsite samples of new decorative finishes and stencils were executed, reviewed and approved by the Restoration Committee. 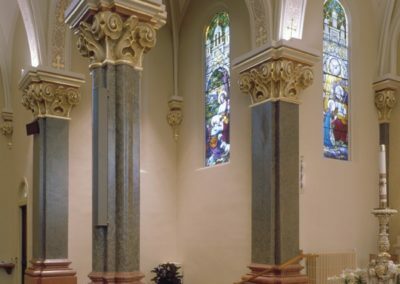 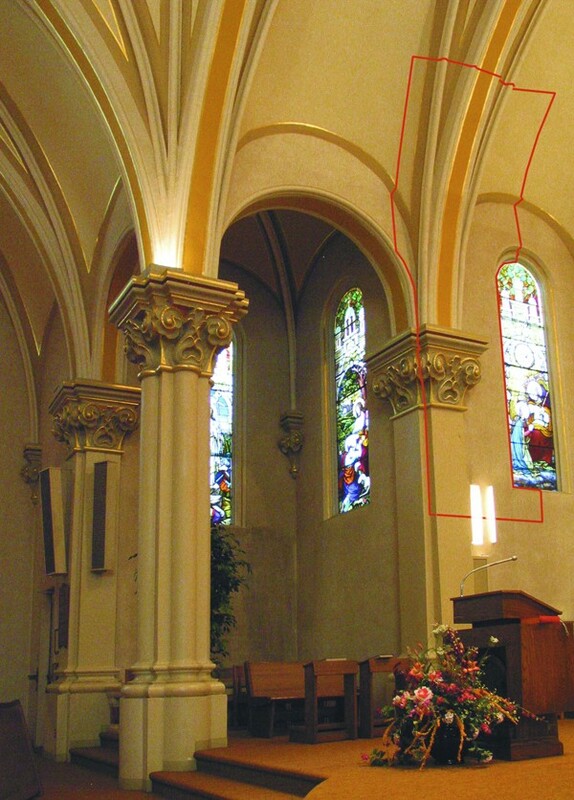 During construction, the full-time staff of Conrad Schmitt Studios removed the Virotex wall covering; patched and restored damaged flat and ornamental plaster; applied a new plaster skim coat to the walls; fiberglassed all flat plaster surfaces; applied all base tones and custom multi-colored stencils; faux painted granite columns and bases; glazed and gilded column capitals; restored the 14 Stations of the Cross murals; and designed, fabricated and installed a new Oculus mural. 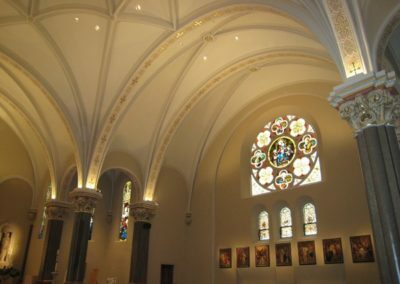 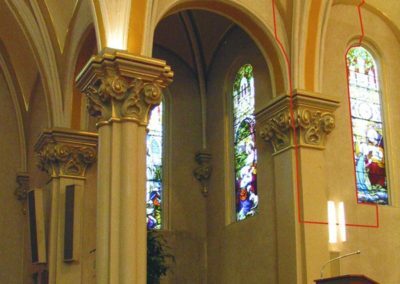 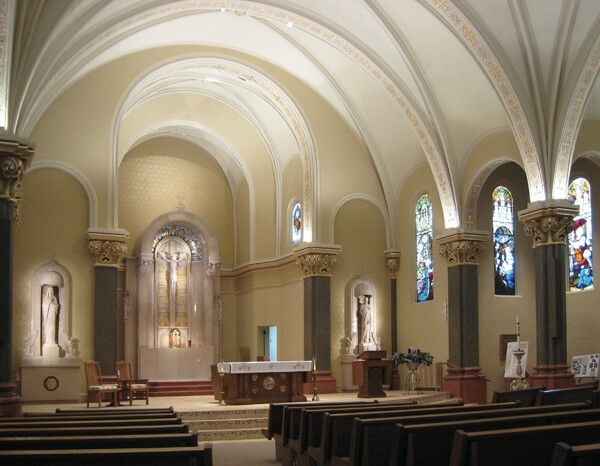 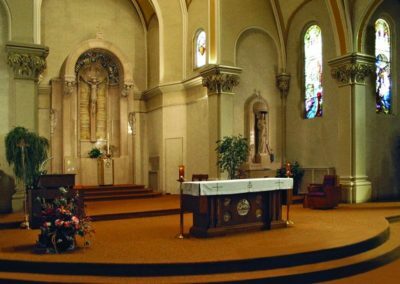 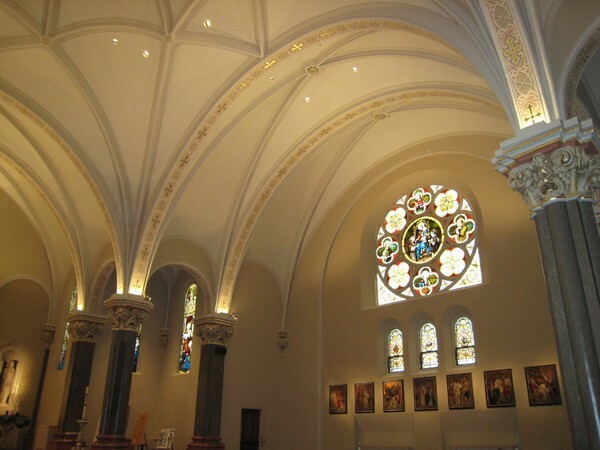 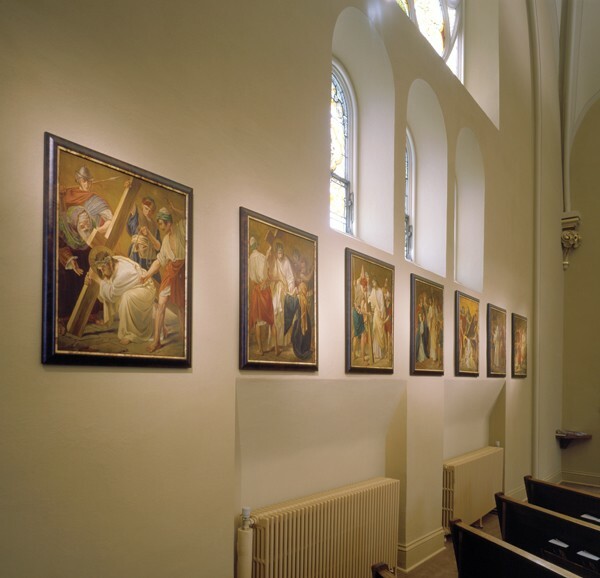 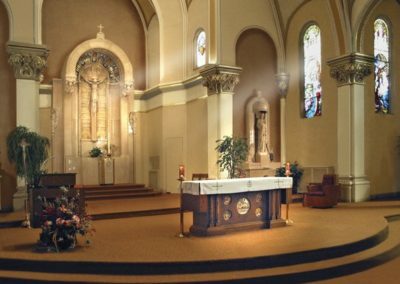 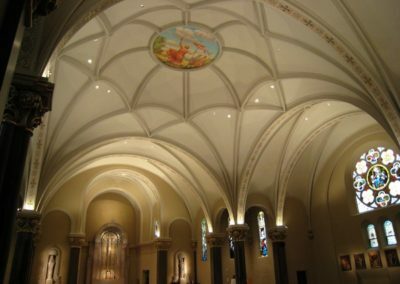 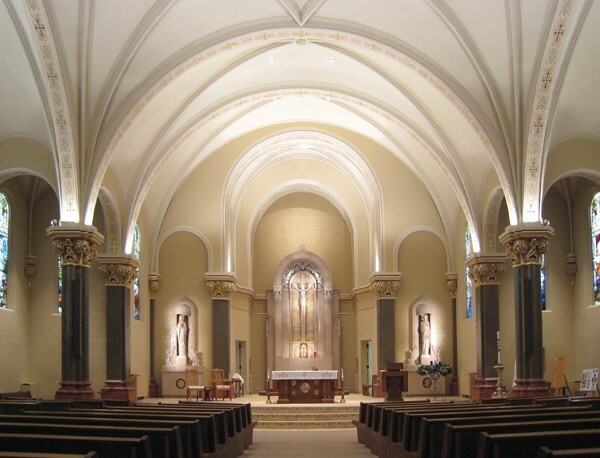 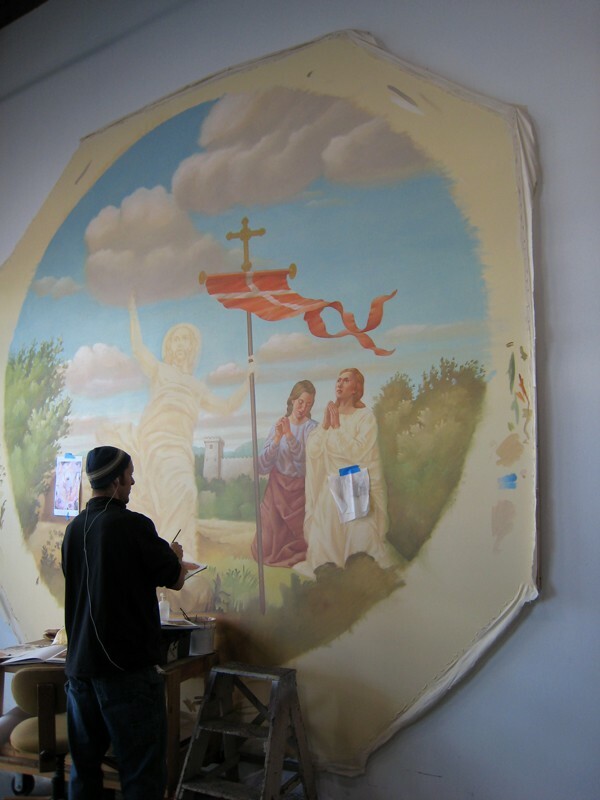 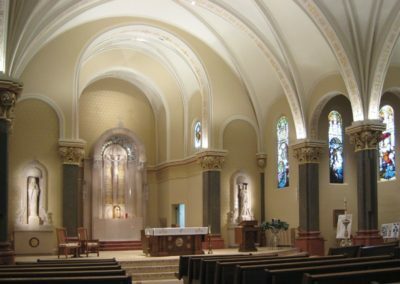 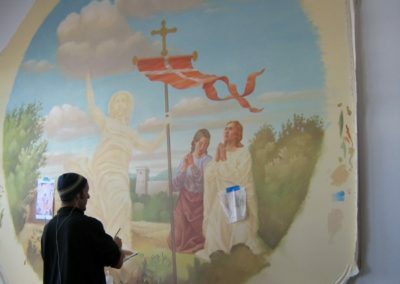 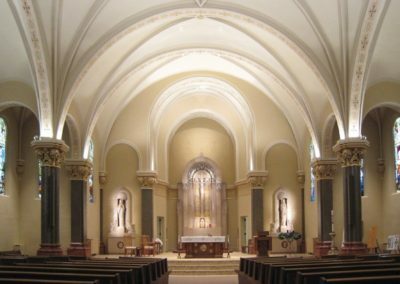 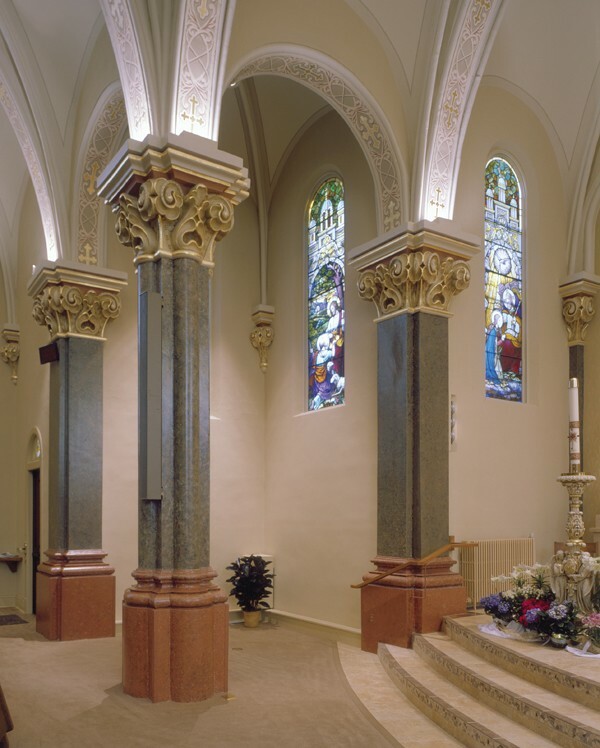 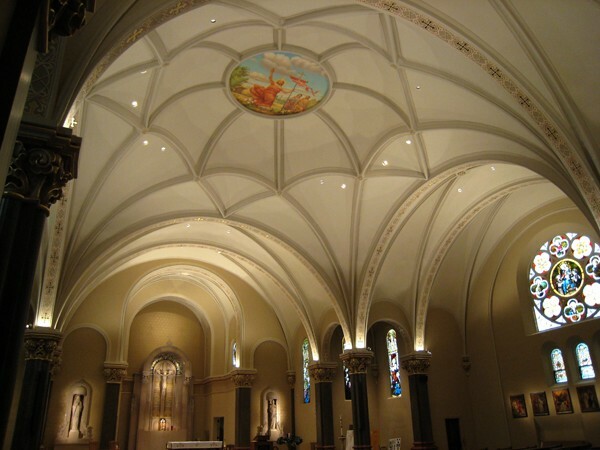 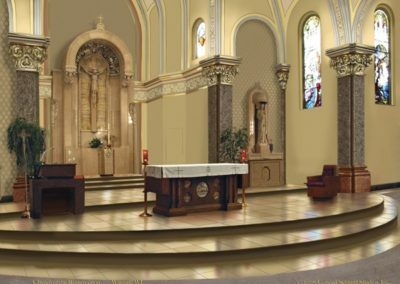 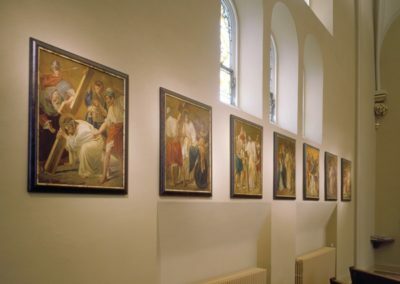 The completed restoration once again provides a beautiful place of worship for the Catholic parish of the Church of the Resurrection of Our Lord Jesus Christ in Wausau, Wisconsin, and helps ensure the longevity of one of Wausau’s historic architectural treasures.